The best way to achieve a glowing smile is to visit a general dentist in Springfield for regular dental exams. At our general family dentistry practice, our skilled dentists are committed to helping patients of all ages enjoy robust, lifelong dental health. 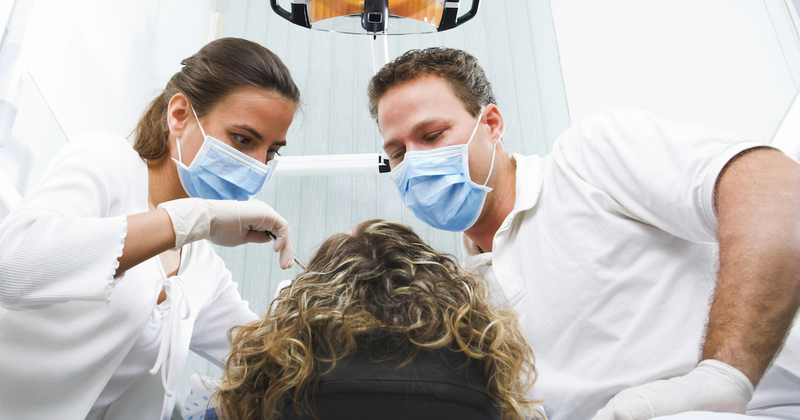 Read on to learn more about our extensive general dentistry services. Scheduling regular checkups with your dentist is the only way to ensure lasting dental health. Without regular dental exams, it’s sometimes impossible to know if tooth decay or gum disease are developing. These issues can become painful when left untreated, so early diagnosis is key. Your general dentist is usually the person you visit the most for routine dental care. General dentists offer a variety of services, including cleanings, tooth fillings, X-rays, and other examinations. These procedures can ensure the life of your teeth and the health of your gums. Your regular dentist is also the person who treats common dental issues, including gingivitis and toothaches. How Frequently Should I Visit Dentist? A common question we receive from our patients is, “How often should I see a general dentist near me?” Healthy patients should see a general dentist for a routine checkup every six months. Those with dental conditions that require extensive work may need additional follow-up appointments. How Much Will My Dental Appointment Cost? Every patient has a unique dental situation. Therefore, the cost of a dental visit will vary from person to person. Your insurance plan’s coverage and the treatments you require will factor into your total charges. Please give our general dental office a call if you have any questions about pricing. Why Do Dentists Clean Teeth? Cleanings are an essential part of overall dental wellness. Having your teeth and gums professionally cleaned by a general dentist removes any plaque or tartar that can’t be removed by daily brushing. Regular cleanings can prevent tooth decay or gum disease from becoming severe. Keep your smile sparkling – schedule your exam and dental cleaning at our dentist general practice today. How Long Will a Dental Visit Take? In most cases, a routine checkup or follow-up appointment at the dentist will take approximately 30-60 minutes. If you have extensive dental work scheduled, your appointment may last for several hours. Give us a call if you have concerns regarding your scheduled dental visit. At our practice, we’re committed to providing patients with a compassionate and welcoming environment. However, some patients experience anxiety when coming in for a dental visit. To ease stress, compile a list of your medications and medical conditions, and research the details of your insurance plan. If you have questions about your dental appointment, give our office a call. Our staff members are always happy to help. No need to worry if you suffer dental damage or have unattractive teeth because a tooth crown can resolve all of these dental concerns and more. Obtaining a clean and confident smile is possible with great oral hygiene in Springfield. Together with your dentist, you can establish good dental hygiene habits and enjoy the benefits of a decay-free, sparkling smile. Are you having oral surgery? Be assured that your dentist in Springfield will give you instructions on how to get ready and recover, but here are some simple tips to help you heal even faster.